Mortgage loan originators in Massachusetts need to complete 8 hours of continuing education every year. Effective October 1, 2011, many state agencies will prevent an MLO from applying for renewal unless they have completed their CE. Returning students: please review the Successive Year Rule before registering for this class. Students cannot take the same course two years in a row. This 7-hour class does not include the 1-hour MA session, required for all loan originators in the Commonwealth of Massachusetts. This course covers 2 hours on nontraditional lending by focusing on a review of the reverse mortgage, including updates, current issues, and resources for remaining up-to-date on programs and practices. You will satisfy the required 2 hours of Ethics instruction by focusing on issues related to mortgage fraud, consumer protection, and fair lending. Case studies and best practices for prevention of fraud and avoiding violations are included. The 3-hour federal law requirement is a review of RESPA rules and regulations. The course concludes with a comprehensive 50-question final exam on all of the topics covered in each of the instructional modules. Mortgage loan originators have to take 8 hours of continuing education by December 31 of each year. On a yearly basis, the SAFE Act calls for state-licensed MLOs to complete 3 hours of Federal law and code; 2 hours of ethics depending on your state). 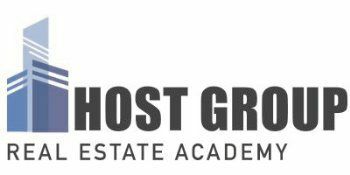 ost Group also offers live Mortgage Loan Originator Continuing Education group sessions in our Boston office that satisfy the complete 8-hour continuing education requirement for Mortgage Loan Originators. Our live course includes the 1 hour MA component.